Last time, Doc Ock had a run-in with Venom, or at least its host, who was immediately seen as a threat by the nefarious professor. The previous omnibus then concluded with Dr. Octopus extracting the parasite from Flash Thompson which caused a chain reaction where Venom became uncontrollable and merged with Peter Parker’s body, albeit with Octavius at the helm. Slowly but surely cracks are beginning to form in Doc Ock’s perfect plan of taking over Peter Parker’s life, and these same cracks are starting to show to those working with Spider-Man. Overall in terms of story value, a lot is going on, as Octavius is currently struggling with the Venom parasite, which makes him a raging psycho trying to solve crime as brutally as he can. Before long the Avengers are called upon and they try to stop the raging mammoth. While they are successful, they also notice that the Spider-Man they know is totally different than the character standing before them. Tony Stark is determined to further his investigation. On the other side of town, a war between the different ‘goblins’ is starting to form, outside of Octavius’ watchful eye. Carlie is forced to spill the beans about Spider-Man, or rather what she learned about the new ‘superior’ Spider-Man. The flow in this issue is rather fast, as everything is happening quite rapidly, and it’s hard not to spoil everything by describing what is going on. It’s clear that the end of this series is near, now that visible cracks are showing and that Octavius is slowly spiraling down to a chaotic state, after pulling all the strings. Illustration wise not much has changed, as all the characters still have rounded features, the coloring is realistic, yet rather bright and there’s an overall usage of darker tones for this issue, as it’s clear that something bad is unraveling. 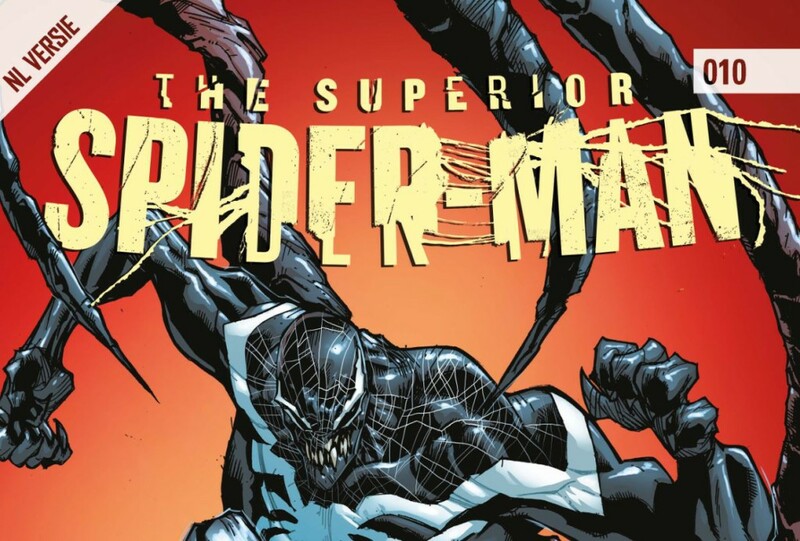 The end is slowly coming and The Superior Spider-Man #010 is slowly preparing us for a grand finale. War, chaos, deception and drama, this omnibus has it all, and we were driven to the edge of our comfortable seat hoping to see a glimpse of how this series is going to end.